1. 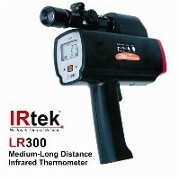 What is the main difference between thermal imaging cameras and the Fever Finder 38? 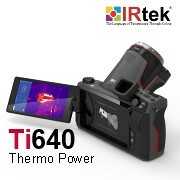 The tolerance of general thermal imaging cameras is ±2°C (±2%) while the FF38 features a tolerance of ±0.4°C (33 ~ 37°C). 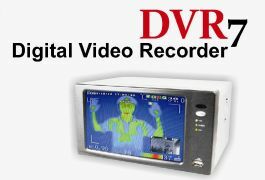 In general, normal thermal cameras have poor repeatability. Scanning over massive targets. 2. Which system is better? The FF38 or the thermal camera? Thermal cameras scan over massive targets. However FF38 scans each individual with precision. So thermal cameras are better for larger, moving targets whereas the FF38 is better for one to one operation. 3. 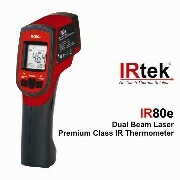 Can both the thermal camera and FF38 be used together on site? Yes, ideally they complement each other. The thermal camera is served as a first defence gate and the FF38 is then used to confirm the feverish condition with more accuracy. 4. How about the investment cost? A proper fever thermal camera is normally much more expensive than the FF38. 5. Is the FF38 difficult to set up and operate? monitoring, you only need to plug the FF38 into the wall power outlet and it is ready to go. Minimum supervision is required. However, users still can alter the alarm temperature and offset temperature through the local monitor located on the unit. 7. 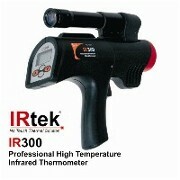 Would I still need a portable infrared thermometer if I have the FF38? 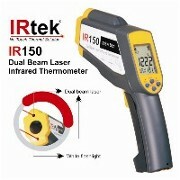 No, the FF38 replaces the infrared thermometer without operator intervention and human error. 8. If I need the precision of the FF38 but also a fast enough operating speed to save queueing time, what is the solution? You can invest in more units of FF38 to save a lot of queuing time. You can invest in say five to six units to achieve the speed and accuracy of a 50Hz thermal imaging fever camera whilst still being cheaper than the camera. 9. Is there any training required to operate the FF38? Unlike the thermal imaging camera where some basic training is required, the FF38 needs absolutely no training. 10. If I install a few units of the FF38, can we monitor the temperature from a laptop computer we place in a control room? Not at the moment. We are still working on the control software but all the hardware such as USB connection, RS485 and Wi-Fi is already installed in the standard configuration. You will only need to purchase the software when it is available. 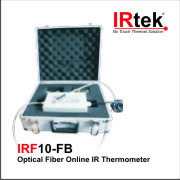 IRtek recently participated in MEDICA show in Dusseldorf, Germany. IRtek is under Australian pavillion. 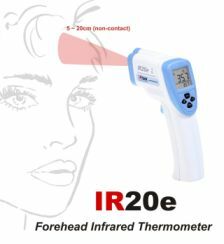 Body temperature is measured by pointing the Infrared thermometer IR 20e at the centre of the forehead. The correct distance is between 5 – 20 cm. There is no need to align the distance to read the correct temperature. 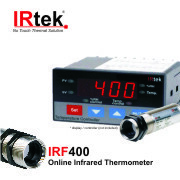 Therefore it is easier and faster to use IR 20e as long as it stays within the specified range. Pull the trigger and within a split of a second, a beep is heard and the result is displayed and hold (frozen) for a few seconds before it turns off by itself. 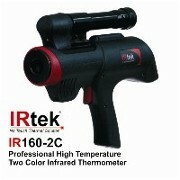 Irtek is an infrared company and has people who understand about the business. The successful application of Fever Imaging System depends not only the infra red technology behind it but also the implementation in the field and knowledge about human pathology condition and how it works. 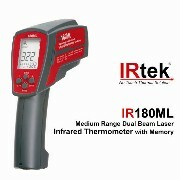 Note: Mi38i comes with a clinical non contact forehead thermometer that measure to 0.2o C accuracy. You will be able to confirm if a the suspected target is feverish or not from the thermal imager alarm.